You are readingWorst Month in Gaming Sales Since 2006 – Ouch! Worst Month in Gaming Sales Since 2006 – Ouch! 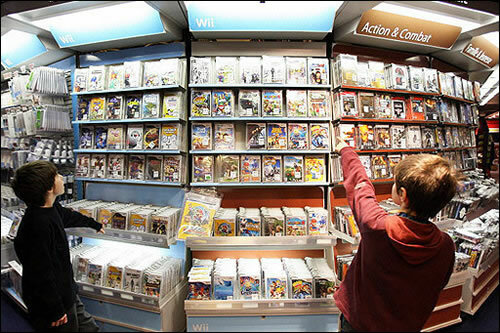 According to sources, July 2011 was the single worst month for gaming sales since October back in 2006. Talk about a sales dip! Our good friend the NPD group has reported that overall game and console sales dropped 26 percent last month. That means the total gaming inudstry sales fell $707.7 million! It goes to show how large the market has become in recent years (and how much money we feed into it! ), especially since this is the state it used to be in 5 years ago back during the infancy of the Xbox 360. However, despite the loss in sales, the Xbox 360 managed to stay on top of the competition over the course of the month, moving close to 277, 000 consoles in July. As well, 4 of the top 5 games sold during that month were available on Xbox 360. Though some of those were cross platform, Xbox game sales were still at the top for the month. Overall, I kind of suspect that the drop might have something to do less with the gaming industry having a temporary decline, and more to do with the list of upcoming releases for this fall. Something tells me that people might be holding off spending their dollars on the gaming market until some of the heavy hitters are released… you know, games like Gear of War 3, Battlefield 3, Modern Warfare 3, Deus Ex, Dead Island, etc. So, even if the Summer saw a significant dip for the industry, this fall will probably see it swing back in one heck of a mean way, for the Xbox 360 at least. There are more good looking titles hitting stores at the same time than we’ve had in a quite a while. Pingback: Gloomy Guides. » Worst Month in Gaming Sales Since 2006 – Ouch!